Hilton Grand Vacations (HGV) has unveiled details of Maui Bay Villas by Hilton Grand Vacations, which will become its 10th property in Hawaii and first on the island of Maui. Maui Bay Villas is located on a 27-acre site featuring 740 feet of oceanfront with views of Maalaea Bay. The resort will offer 388 units of one-, two- and three-bedroom suites, averaging 962 square feet, among a dozen one- to four-story buildings that are arranged in a low-density, resort-type campus. Planned amenities include a large clubhouse with restaurant, keiki club, fitness center, grab-and-go market, large ‘super pool’ with pool bar, oceanfront beach club and more than 15 acres of open-lawn recreational space. 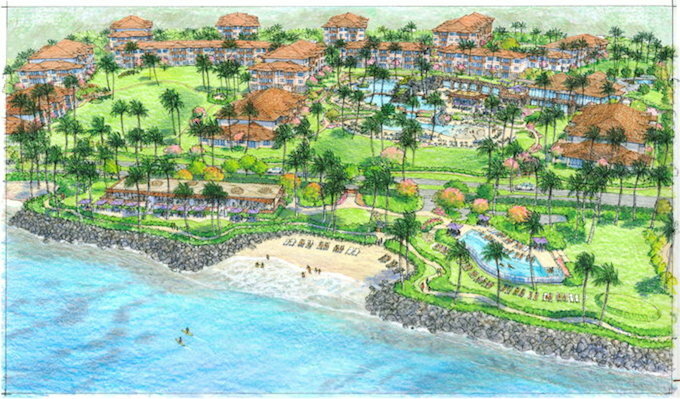 The resort site is located on Maui’s south-western coast at 575 South Kihei Road, on the site of the former Maui Lu property. Mark Wang, HGV’s president and CEO, said: “Our customers consistently rank Maui as one of their top requests for expanding our portfolio of resorts, and we’re thrilled to add this spectacular destination for our owners and guests. The initial phase of the project includes 131 units within four buildings, plus all the supporting buildings and improvements. Work is now under way and is scheduled for completion in the first quarter of 2021. Sales are expected to begin in the first quarter of 2020. Development costs for this project were included in the overall 2019-2021 inventory spending guidance that was provided during HGV’s Investor Day presentation on 4 December 2018.